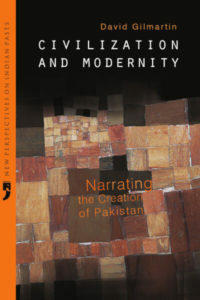 The book offers an excitingly perceptive analysis of how the political destiny of the world revolves round the liberal interpretation of Islam, US foreign policy and stability in South Asia. Islam, South Asia & The Cold War is a collection of articles written by A. G. Noorani over the last twenty-five years, and published in various dailies and journals to which he has been a regular contributor, including Frontline, The Statesman, The Indian Express, The Illustrated Weekly of India and the Islamabad quarterly Criterion. The book, divided into three thematic sections – Islam and Muslims, South Asian Themes, and Ravages of the Cold War, provides interesting insights into the issues dealt with, from the perspective of a leading political commentator and legal expert of our times. A. G. Noorani is an Advocate, Supreme Court of India, and a leading constitutional expert and political commentator. He is a regular columnist for Frontline and the author of, inter alia, Jinnah and Tilak: Comrades in the Freedom Struggle and Indian Political Trials 1775 – 1947.